Now really, how many world records would a country want to set for itself? What is the point? Why does it matter? I am sure there is a sophisticated sociological, perhaps deep psychological explanation for this phenomenon. But for the simple observer, it is yet another example of how we, as a country, just can’t seem to get our priorities straight. And I am talking about more important things here, as important as hummous is to me and my existence. …our daily suffering is made more severe because, while the government promises long-term and grand solutions, it doesn’t take care of the status quo to ease the pain. Take the case of electricity for example. Public authorities could very well control electricity waste by making sure public light poles aren’t on during the day, enforce price controls on private generator providers (moteur) and impose electricity cuts equally throughout the entire country, thus reducing cuts overall. Now let’s take a closer look at our roads. Signs: in case of a closed road or diversion, putting extra signs as a warning, at least 500 meters in advance or close enough to find an alternative route, will avoid causing useless choke points as drivers hit the same wall and simultaneously try to get away from it. Signs should be sturdy enough to stand some wind and maybe one or two drivers crashing into them. To save money, old signs can be recycled, as long as the arrows are pointing in the right direction. Speed bumps: are meant to slow down drivers in inner roads, not main roads for which there are speed limits and the use of which causes traffic. Reconsidering location of speed bumps will save public funds not waste them. Erecting speed bumps the height and shape of pyramids, causing car malfunction and immediate garage attention, thus removing cars from circulation for a couple of days, is not a valid system of traffic management. Parking: Although they sometimes look like parking lots, an autostrade and main thoroughfares aren’t a parking. The same police traffic officers officiously guarding crossings and traffic lights could be rotated to make sure people at least park in lots and not lanes. Just think about how many times you had to change lanes, escaping blocked ones mistaken for a prime parking location by customers, unable to walk the extra 3 meters to park their cars properly. Traffic Advisory Frequency: This may be more complicated, but far from impossible. People living in Europe, among other areas, will know how annoying those interruptions to radio programming with traffic updates are, which you can’t opt out of. 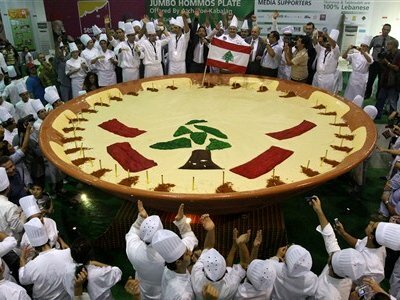 It is only here in Lebanon that I’ve learned their true value. 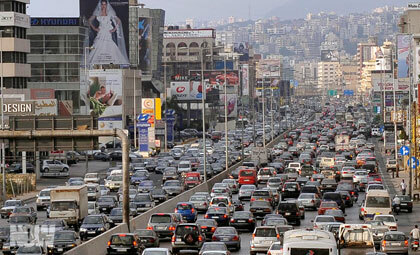 Lebanon already has various departments within the police and Civil Defense monitoring road activity. Channeling this to one center to be broadcast throughout the country will help people plan accordingly for their trips. Whenever traffic is smooth, airtime could be filled with weather updates, public service announcements or Ziad Rahbani plays for laughs if they get it all wrong and we are stuck in traffic. I don’t know about you, but a pleasant ride with minimal, or at least predictable traffic, can make or break my day. Granted, drivers are as responsible for the madness, but it is going to be much harder to reeducate almost 4 million people on the basics of driving, than ensuring some orderliness with a simple sign. Governments the world-around aren’t known to be the most efficient service/solution providers, let alone the Lebanese one. Couple that with our love of grandeur, we are in big trouble, have been and will be. Therefore, it is time for us to realize that yet again, bigger isn’t always better. With minimal political will and without reorganizing its list of “priorities”, the relevant authorities can offer small solutions that will make a big difference. Why can’t we wish to carry our lives in a bit more organized, calm and predictable fashion? Of course, if that happens anytime soon, I’ll be the first to call the Guinness Book. Loved this post! Complaints that we all talk about, almost hourly, and proposed solutions for a change, thanx!